The club was formed in November 2003 when Muintir na Tire called a General Meeting for anyone with an interest in all things Vintage to form a club to help preserve and promote our rural and agricultural heritage. Since our first meeting the club has grown beyond all expectations, with a broad membership from Myshall, Drumphea and surrounding areas, hence the name ‘Blackstairs Vintage’. We acquire and restore farm, farmyard, dairy and household items so that they can be seen and enjoyed by future generations. We host a Vintage Rally the first Sunday in July since 2004 with tremendous support from the local community and surrounding clubs. 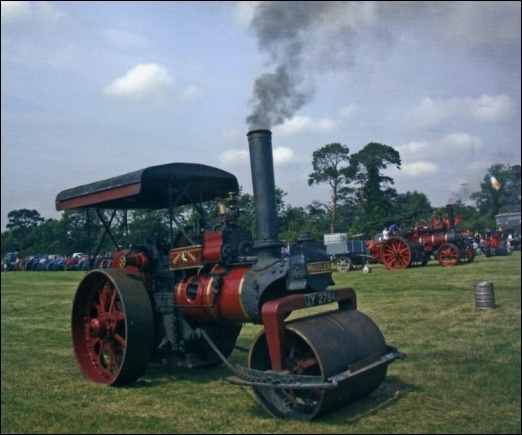 In May 2006 we decided to apply to the Irish Vintage Engine and Tractor Association (IVETA) to host the National Rally in 2007 or 2008. Members of the National Board attended our 2006 Rally and were impressed by our organisation, facilities and safety standards. We were then selected to host the 2007 National All-Ireland Rally and this is to date our proudest achievement. This is the first time a National Rally has been staged in Co. Carlow. We are a non-profit club with all our funds over and above expenses donated to local charities (e.g. BEAM School, Bagenalstown; Cheshire Home, Tullow; Our Local Senior Citizens Committee; Our Local Millennium Park Committee, etc.). We are delighted to be able to help these charities and we enjoy the sense of camaraderie and community that our work generates. We have been so well supported for the outset – you just can’t beat the pride and spirit of the people of our parish! Ben Bayley's 1914 Blackstone Engine, 9 h.p. 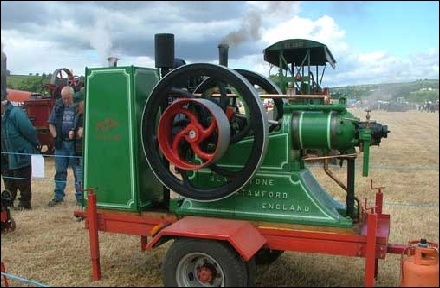 Ben Bayley's engine won first place in the Vintage section at the World Ploughing Championships held in Tullow, Co. Carlow in September 2006. It was tested in September 1914 at the Blackstone Engine Works in Stamford, England and was shipped to Ireland to a nearby estate, where it was found. It worked until 1953, when it was replaced by electric power after the arrival of rural electrification. The engine was discarded at the corner of an orchard where it remained for 50 years. Time and the elements took a heavy toll on the old work hose. 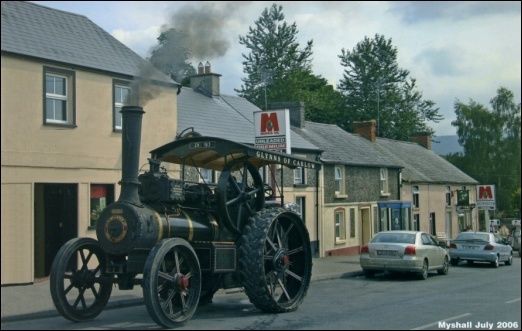 In May 2003 Blackstairs Vintage Club member, Ben Bayley, found and purchased the old engine. Many parts had to be fabricated to get the old lady back to her former glory. So after sandblasting, priming and painting and a year’s hard work, this Blackstone is ready for a well-deserved retirement.